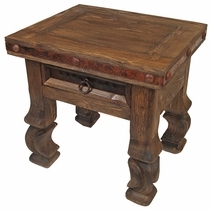 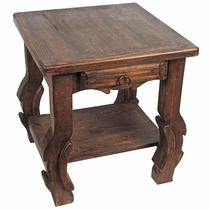 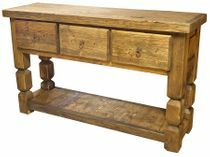 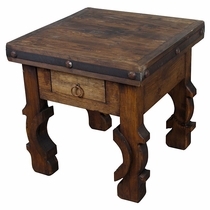 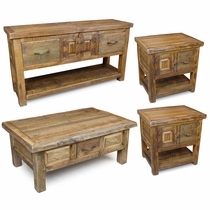 Our rustic wood living room furniture is a collection of handcrafted coffee tables, end tables and sofa tables that emanate an authentic old Mexican, rustic ranch or Spanish Colonial theme. 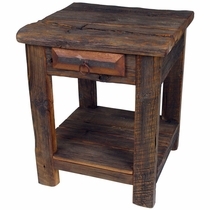 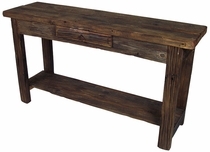 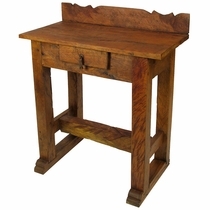 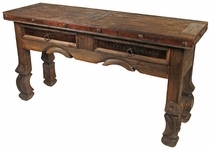 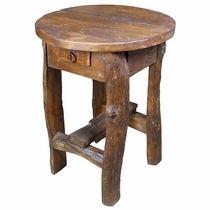 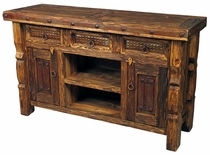 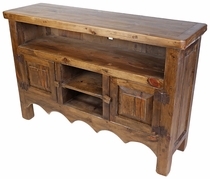 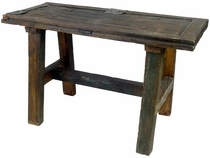 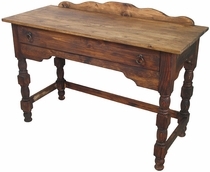 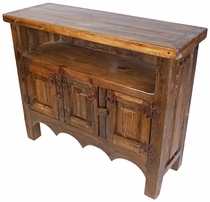 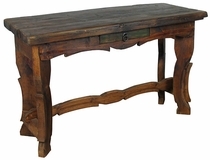 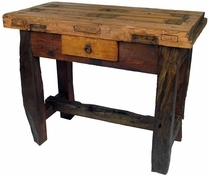 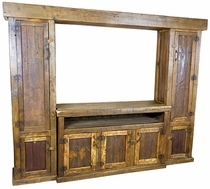 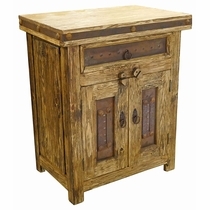 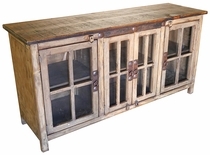 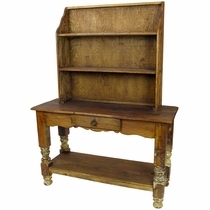 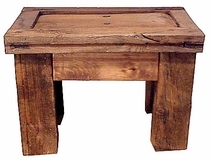 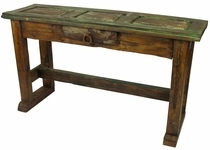 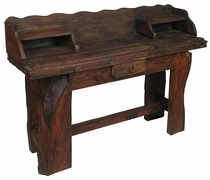 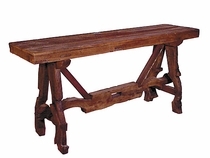 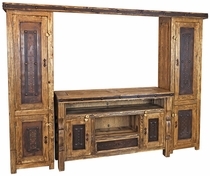 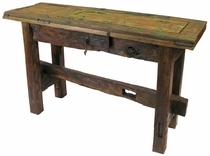 This line of rustic furniture will enhance any log home, cabin or ranch. 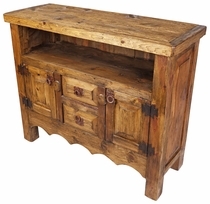 Working with mostly reclaimed wood and old doors, the Mexican craftsman create these magnificent pieces with the textures and character of rustic antiques from Spanish colonial days. 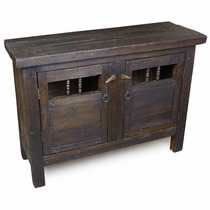 The one-of-a-kind character of our rustic wood furniture is enhanced by the age-old grain, weathering, and on some pieces, old rustic iron hardware that still remains on the wood. 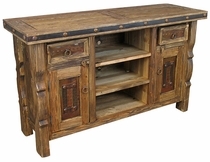 IMPORTANT NOTE: Each piece is a unique one-of-a-kind rustic creation. 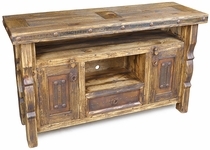 Expect variations in size, wood texture, distressing, cracks, warping, weathering, color and hardware elements. 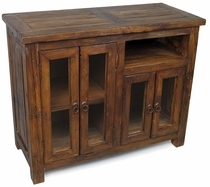 The furniture images presented in this section may not be the exact item you receive. 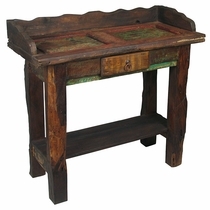 Country Style Mexican Painted Furniture. 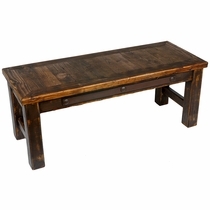 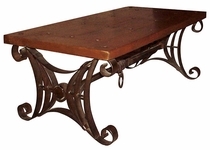 Includes Coffee Table, Two End Tables and Sofa Table. 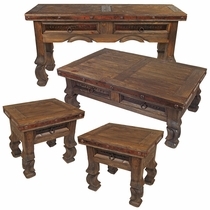 Set Includes Coffee Table, Two End Tables and a Sofa Table.